Ever since it opened in 2005, Machynys Peninsula Golf Club has captured the imagination of the golfing public. 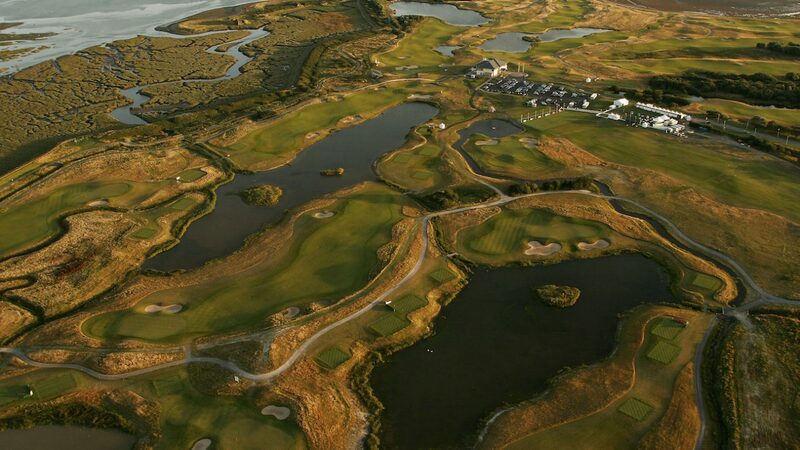 Its superb Nicklaus Design championship course overlooks the stunning Carmarthen Bay, making it a truly spectacular setting in which to enjoy a round. The 18-hole layout hosted the Wales Ladies Championship of Europe within months of opening, and has gone on to host numerous top-flight professional and amateur events over the last 12 years, including hosting the 2018 Welsh Amateur Championship. Playing to 7,121 yards off the back tees – with multiple teeing options to suit all skill levels – it features no fewer than 25 acres of lakes, with water coming into play on two-thirds of the holes. Straight driving is essential to avoid these hazards, while accurate approach shots are needed to negotiate the clever bunkering around the sizeable USGA standard greens – which are always presented in superb condition. The course is routed in two loops, with a parkland front nine and an inward half that has more of a links feel beside the sea. Gary Nicklaus highlighted the 16th as one his favourites, a 461-yard par four which is played across a lake from behind the clubhouse, with the green offering a view of the entire bay. The stylish, modern clubhouse features a bar and restaurant, function rooms, pro shop and golf superstore, while practise facilities include a putting green and driving range. £25/£30 (w/days, w/e). Book online at www.go.teeitup.com/20051. Tailor made packages are available. Machynys Peninsula is just 15 minutes from the M4 motorway. Exit Junction 48 if coming from the east, or 47 if coming from the west. £22.50/£27.50 (w/days, w/e). Book online at www.go.teeitup.com/20051. Modern clubhouse with barand restaurant, function rooms, pro shop & golf superstore, free WIFI, changing rooms and lockers, meeting rooms, large car park, putting green and driving range.